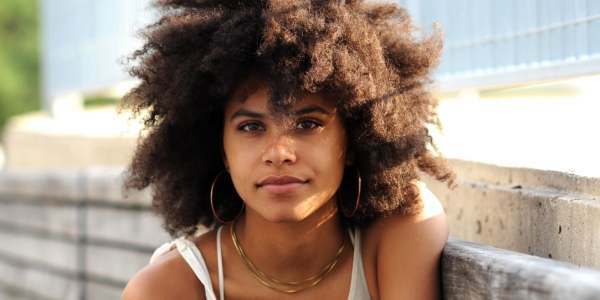 Zazie Beetz is in talks to play a single mom in Joaquin Phoenix' "The Joker" solo movie. The actress, who co-starred in Deadpool 2, is in talks to join Joaquin Phoenix in Joker, the stand-alone origin project from Warner Bros. and The Hangover helmer Todd Phillips. Phoenix is playing Batman's long-time villain in a lower-budget dark character study. Details of the project are under wraps but Beetz would play "a single mother who catches the interest of the man who will become the "clown prince of crime." Joker is due to begin shooting in September in New York. The studio has set an Oct. 4, 2019, release date. Beetz is an Emmy-award nominated German-American actress known for the role of Vanessa "Van" Keefer on "Atlanta". That show earned her an Emmy Award nomination for "Outstanding Supporting Actress in a Comedy Series". She also played in the Netflix anthology series Easy in 2016 and most recently played Neena Thurman aka Domino in the Fox Marvel movie "Deadpool 2" (2018). I've been skeptical of the movie so far, but if they're pulling in top-notch talent like Zazie Beetz I'm on board! Official synopsis: "The film 'centers around the iconic arch nemesis and is an original, standalone story not seen before on the big screen. Phillips’ exploration of a man disregarded by society is not only a gritty character study, but also a broader cautionary tale.'" Are you looking forward to "Joker" (2019)? Check back with the Geek Twins for more Joker movie news and hype! Would you want to play in the Joker movie?